This place is a playground perfectly suited for all skill levels from kitesurfing lessons to freeride, freestyle and even some epic wave riding. Apart from being one of the most beautiful places on our planet and a destination for the most chilled vacations, this amazing island on the Indian Ocean also attracts a whole lot of adventurous freaks and thrill seekers from all over the world. And Le Morne is definitely a place to be at the right time, when the wind is up! One thing for sure and a hat down to the "Mauritians" here, you won't have any adaptation problems. 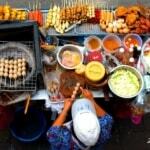 Above all, the locals are multiethnic, multi-religious, multicultural and multilingual. The island is a fascinating blend of cultures. English may be the main language, but Creole, French, Bhojpuri or even Hindi are commonly spoken. And just like that, you will find churches, chinese temples and mosques all around the place. The Republic of Mauritius was a British colony from 1810 until 1968 when it finally became independent. There is a strong French influence. France fought with Great Britain in order to gain control over this territory, but lost the battle in 1810. From then on, the islands became the British Empire’s main sugar-producing colony. And here comes the good old Rum of course! The island creates an incredible environment for the water sports. Surrounding coral reefs form flat water lagoons with perfectly shallow, crystal clear water, but impressive waves start kicking off not even a mile from the shore. The kitesurfing season generally starts from April all the way to November with wind speeds at about 15-25 knots. This is the winter in Mauritius with consistent South-East winds. In July and August the direction varies from East to South but winds tend to be pretty consistent at this time of the year. From December to about March, there is a light, but very constant breeze and a local thermal wind. That makes especially the South of Mauritius surfable pretty much all year round with February being left out as the only month without a good gust. Down South you'll generally find the best kitesurfing conditions. Le Morne being a hotspot and proudly one of the best world kitespots. 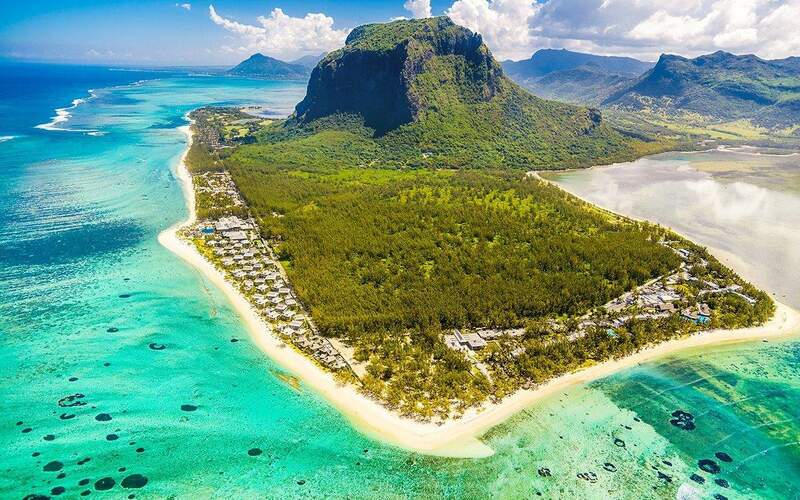 Le Morne has a massive lagoon with enough space and just the perfect conditions for all kitesurf skill levels. Depending on the tide, the water surface could go from flat to choppy, but still the overall safe conditions and clear water makes it the real treat and the best kitespot for the beginners. If you're thinking of taking kitesurfing lessons while in Le Morne, the best time to come would be the months between April to November when the wind is up and consistent. You'll have an awesome time riding. Although weekends could be quite crowdy with the swimmers, other kiters and windsurfers, the mid-week days are like learning to drive on an empty airport. Awesome first experience. During the low tide, the water levels could fall far too low making it impossible to ride due to the rocks sticking out of the lagoon, but the instructors are well aware of that. You'll need to move where the bottom is more sandy. If you're at beginner level and riding on your own, make sure to stay inside the lagoon. Self rescue outside the lagoon could be real mission due to the waves and rough conditions of the sea outside the reef. Speaking of waves, there are a couple of awesome wavy spots just around the lagoon and so only if you're confident enough, make sure to check them out. Manawa - this reef break is just about a couple hundred meters behind the Le Morne lagoon. A kitespot very well known for its waves of up to 3 metres high, specially in the autumn months. The best time to ride Manawa would be during the high tide. 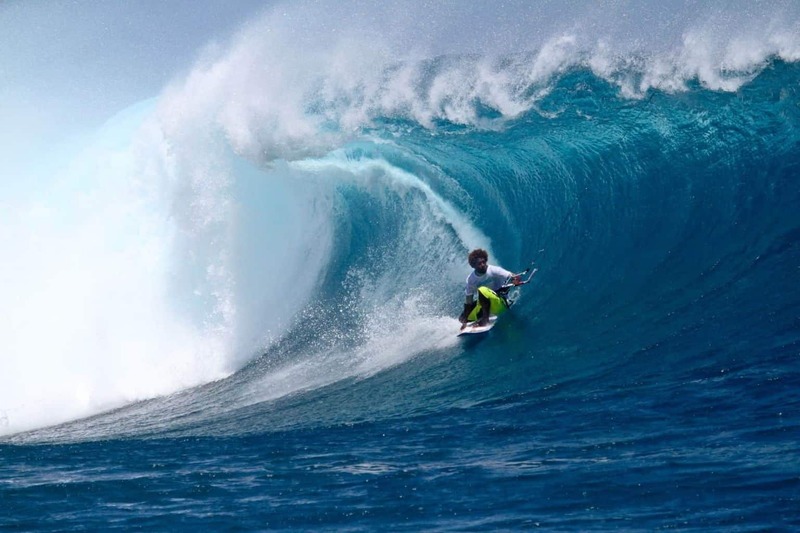 One Eye - This is the real treat for the wave riders and one of the most respected wave kitesurfing spots on the island. It could be a real challenge even for the pro kiters due to the fast viciously punchy left handers. One Eye is a legendary bone-crunching wave rolling just outside the reef protecting the its lagoon. It is one of the world's fastest & cleanest waves that can deliver the biggest wipeouts ever. On good days, the wave breaks and forms a perfect tube that goes for hundreds of meters along the reef. One Eye can give you the best ride of your life, but don't you dare to under estimate it. There's a rumour going around about a windsurfer who got his lower leg double fractured. The story says that he was thrown out of One Eye's lip onto the flats. He just could't stand the punch and hard landing and his leg just buckled under the massive pressure. The broken bone went through the deck into the core of his board. With such horror story in mind, you do need to pay a lot of respect even just looking at the way from far away. While One Eye is definitely the most respected beasts in Le Morne, not many riders realise that the real danger is actually somewhere else. If you look at some of the drone shots in the photo gallery below, you'll realise that the entire lagoon flows towards one massive exit. The waves push the water over the shallow reef to the huge channel. If you happen to get in to trouble at this point, there's no other chance than getting rescued. Self rescue or swimming against the current with the outgoing tide is just not an option. The rescue boat services are available for emergencies in Le Morne, so if you are about to do some shredding, it would be wise to book it for your session. Le Morne lagoon - The Kite lagoon as the locals call it is one of the very few kitespots suitable for the beginners. At least on a good day it is. But in strong winds, it gets pretty choppy and if the large swell hits, oh boy here comes the vicious current. The water could get pretty shallow, so watch out for the odd coral head poking out. There is not really a significant wet/dry season in Mauritius, but generally the south and south-east of the island gets more rainfall, because the mountains accumulate more clouds and humidity. Air temperatures are pretty consistent throughout the year. It's HOT. The hottest months are pretty much November - April. This is where the temperatures raise to 30+ °C. From May till about October, it gets a little cooler, but in general the air temperature won't go down under 25°C during the day. Night temperatures can drop, so it's good to have a jumper handy for the chilly nights out. 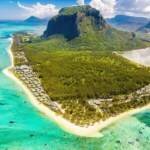 Transportation is something you don’t have to put much thought on as everything is close by, but unless you're planning to spend all your cash in Le Morne area, it would be awesome to hire a car and move around the island to explore some other kiting hotspots. Mauritius is a real paradise and there are far more places to see and visit so are the island's kitesurfing spots. Make sure to check out the complete guide to the best kitesurfing spots in Mauritius here. Take a day trip to the near by villages. 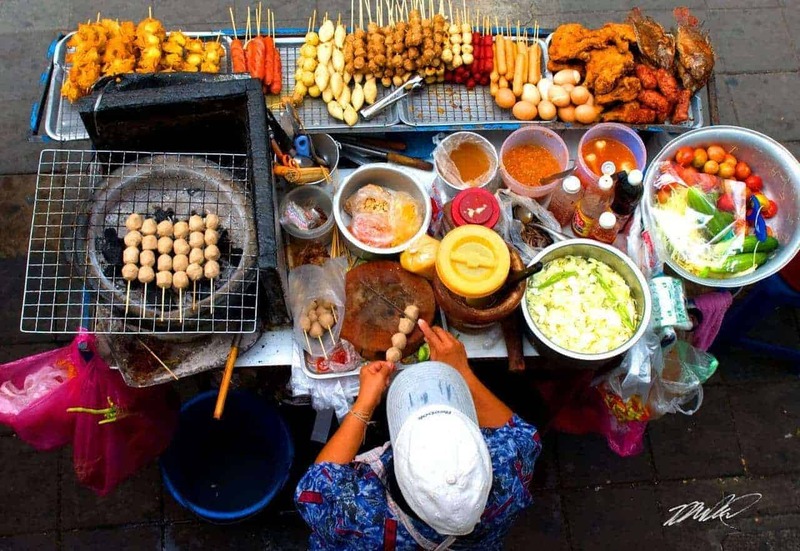 You must try the street food. 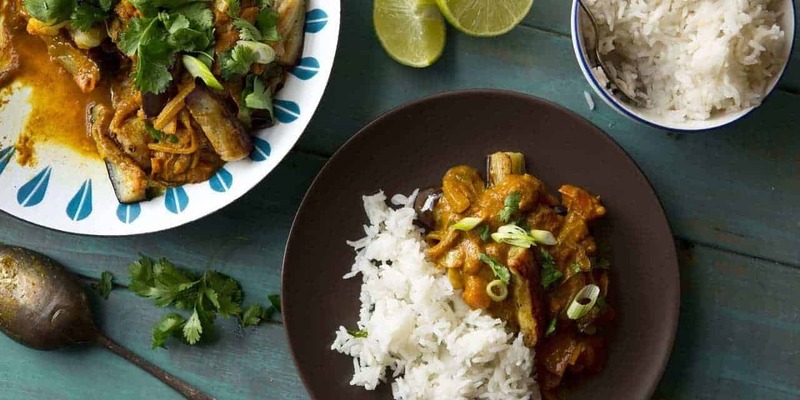 Mauritian food is just an awesome mix of cultures. 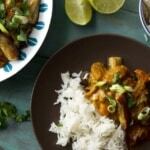 Creole, Indian, African and Chinese influences, bursting flavours and colours. No need to mention a little Stand-Up Paddle trip together with snorkelling. There is so much underwater beauty on the island to keep you busy for weeks. Take a hike and check out the beach from Le Morne mountain. The imposing rock above the coast was once a refuge for slaves who had escaped from their owners. The view is incredible from up there. This requires the paid Get Listed & Featured package, but guess what?! You can now get it 6 months free. How? See here!